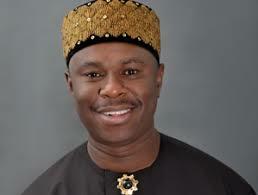 Dr Dakuku Peterside, the All Progressives Congress (APC) governorship candidate for Rivers State in the 2015 election, has questioned Governor Nyesom Wike's mental health. Responding to Wike's claim that the money discovered by operatives of the Economic and Financial Crimes Commission (EFCC) belongs to the Rivers State Government, Peterside said, “Not too long ago, Wike apparently suffering from overdose of self-delusion said he had awarded road projects in faraway Benue State and had mobilised contractors to site,'' VANGUARD reports. “We thought these were jokes taken too far. But the clownish governor has surprised himself with another tales by moonlight in trying to link his former boss and benefactor to the unclaimed money. “While Wike can never come near the record of Amaechi, the current governor is doing everything to reverse the unmatchable records of his predecessor. “As at today, no one has seen copies of 2016 and 2017 budgets of Rivers State. Schools and health centres are shutting down with thousands of school age children out of school. 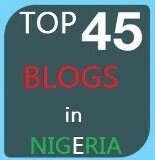 Rivers children on scholarship abroad have been withdrawn. The same governor has wasted Rivers money to host two failed conventions of a sinking PDP. His party chairman has accused him of using $6m to influence judicial officers. “Wike has the unenviable record of governing a state having the most state-linked killings in Rivers history. He rose to become the governor of Rivers State on the blood of innocent people. “It is people like Wike who have made Nigerians call to question the issue of immunity in the Constitution. He is taking immunity as a shield to abuse the dignity of the office of Governor.